25$ Gift Card GIVEAWAY to WhiteBearAccessories! 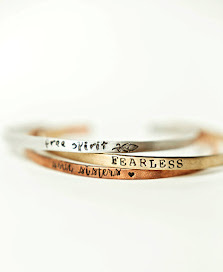 WHITE BEAR specializes in hand painted lace earrings, lace necklaces, bracelets, hair pins and more! 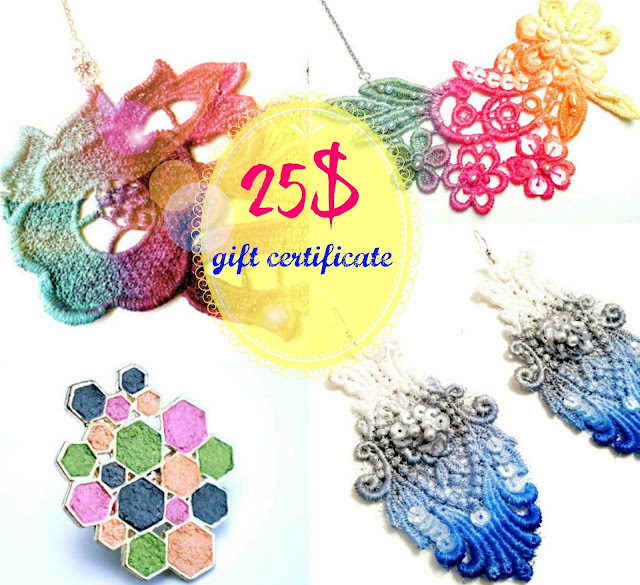 One lucky winner will receive a 25$ gift card to their beautiful shop! Such beautiful and unique items for amazing prices, now is your chance to win! Take a peek at her shop here for more! I LOVE WhiteBear! Thanks for the chance. Couple things: the tweet, when clicked, has a messaage from an older giveaway, and the link to whitebear's pinterest is not working. I like the Lace Earrings Silver Grey Hand Painted from WhiteBear and the Hand Stamped Jewelry - Tree of Life - Mothers Necklace. Thanks for the chance to win! I like the Mint Green Blue and Purple Rhinestone Earrings from white bear. I like the Handstamped Camera Earrings on Your Charmed Life. Favorite on whitebearaccessories is http://www.etsy.com/listing/121032506/sterling-silver-locket-personalized?ref=shop_home_active Its just so cute. I love the locket and to have it personalized is nice. for yourcharmedlife its http://www.etsy.com/listing/119877829/lace-necklace-bib-in-navy-blue-and-black?ref=shop_home_active I love the shades of blue and the style is so sweet and cool. Thank you for this opportunity. Christina - I love the Necklace Bib in Navy Blue and Black from one site and the Family Tree from the other!